I’m really excited about 2014. 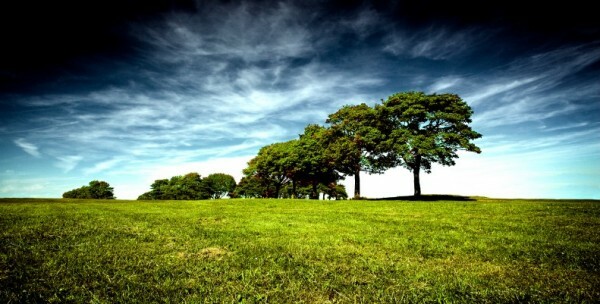 This is the year for turning over a new leaf. My journal has been a welcome companion throughout the year as I navigated my way through the highs and lows of 2013. The company of my journal always makes a big difference so I wanted to share with many of you who have discussed with me either your own love of journaling or your challenges with either getting started or how to keep on track with your journal writing some tips on how to keep this relationship with the self alive both on and off the page. 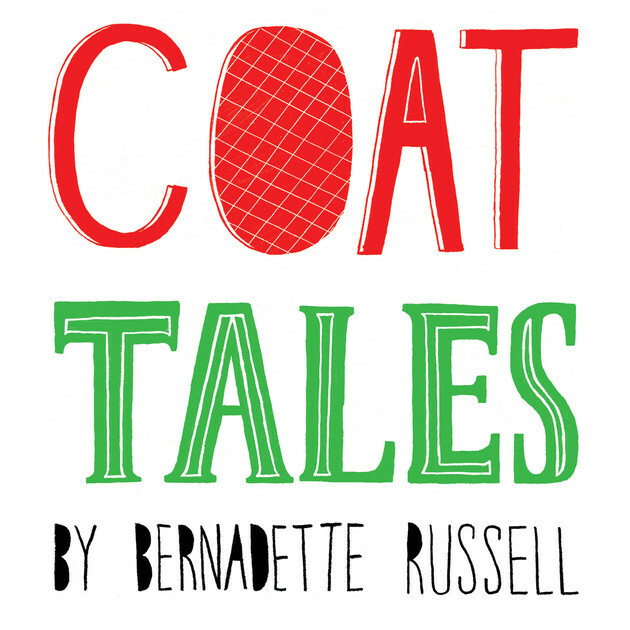 That’s why I put pen to paper and created an online illustrated digital journal just for you. 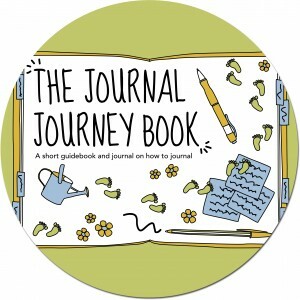 Your free Journal Journey guidebook writing tour is just the ticket to a year of journal writing. It’s a short-guided writing tour with simple steps on how to journal and help kick start your new year. Journal writing is an inexpensive method to waking up to life. It has both health and psychological benefits and generates depth and meaning when explored creatively in all areas of your life both on and off the page. Keeping a journal requires as little as 15 minutes of time each day or you could even divvy up times to write in your journal into 5 minutes slots or make better use of those empty moments in your day when you’re waiting in line, waiting for an appointment or sitting on public transport. 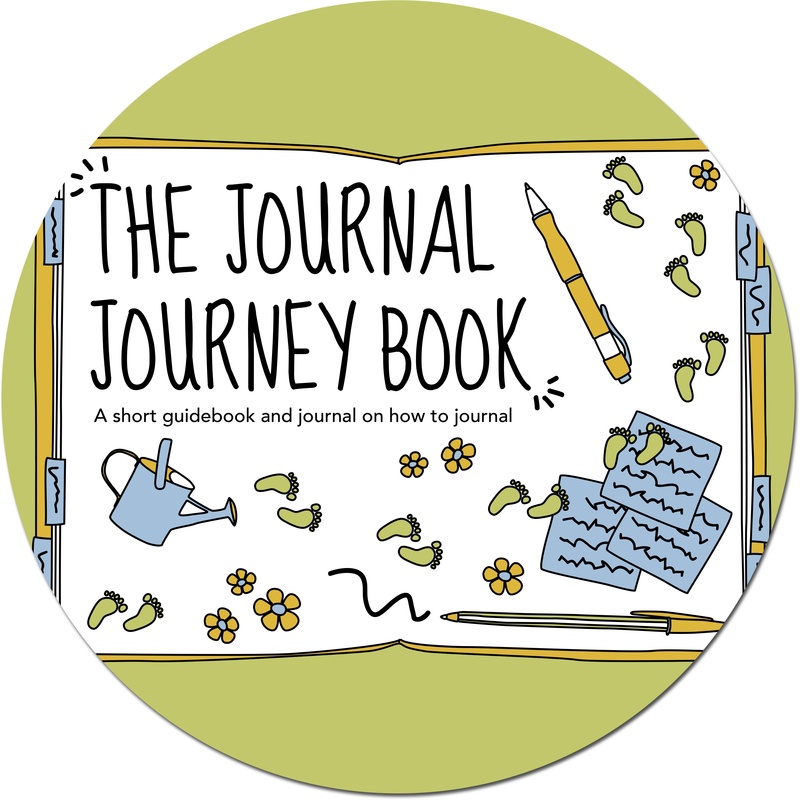 Your guide contains writing prompts, a section on how to journal as well as blank pages to write, make lists and record or capture notes and queries. There are even pages scattered throughout that give you up front permission to doodle and draw. It’s creative with the objective of loosening you up so you’re more relaxed and free to journal your thoughts, ideas, feelings and reflections. Feeling generous then feel free to share the gift with friends and family. I hope you enjoy your free journal-writing gift that will see you and your new year getting off to the write start! We’d love to know what you think of our new guidebook so feel free to post your comments on twitter or on our new facebook page. Writing changes lives and lives are changed by writing! To Write Or Not To Write? That Is The Question! When we make time and space in our schedule to write and reflect on our coaching and supervision we can both in subtle and significant ways improve our practice and become better coaches as well as human beings. The reasons for these are varied. Using writing to reflect on our work as coaches means that we are raising the standards of our profession by examining what we do, how we do it and the impact of what we do. Creative writing as part of a regular writing practice can develop and cultivate the resourcefulness of the inner coach as well as becoming a form of self-supervision. Writing literally has the power to impact our thought processes and behaviours at molecular and cellular levels as well as help to change previous neural pathways. Writing creatively and therapeutically can move you into spaces where you activate and connect with the innate and often underused wisdom of the inner coach and the inner supervisor. Writing is a way to challenge how we think. Very often when we write we are not aware consciously of what writing will reveal to us. Writing can help individuals cultivate new perspectives that inform the way you do things both on and off the page and within the context of our coaching and supervision. Writing up your notes after a coaching or supervision session is an excellent form of best practice for our industry. Writing a dialogue in the voice of an observer and reflecting back on your sessions is another. Using the dialogue method to have conversations with your clients and supervisee’s on the page can be a way to explore both conscious and unconscious dynamics in your coaching and supervision relationships. Get creative and introduce creative writing activities into your coaching and supervision sessions. Use writing prompts (words or sentences which clients can use to free write or free associate with) and also write about dilemmas and issues, which often allows the real issue to surface on the page. I own a small, portable writing kit that I travel with to coaching and supervision sessions away from home. The kit consists of a small plastic wallet containing coloured pens, blank index cards and a collection of writing prompts. Writing prompts are small slips of paper or card each transcribed with a single word or sentence and sometimes images, which clients can use to bring their attention and focus to the present moment. Invite your clients to randomly select a prompt form your collection and write for five minutes. They’re free to record any thoughts or associations that is stimulated from the writing prompt. Equally they’re free to write about whatever comes to mind whether it’s directly about the word/sentence or whether it’s about something current that is on their mind. Using this method at the start of a coaching or supervision session can be a way of clients becoming more mindful and can help clients access an entry point that allows them to quickly to sink below the surface of their often busy lives and make connections with what is really important and meaningful thereby making better use of the coaching and supervision space. This year as a result of completing a brilliant on line class entitled Journal For Your Life with Susannah Conway http://www.susannahconway.com/e-courses/journal-your-life/ I filled two business journals (which was one of the activities in the on line class), which are notebooks separate from a personal journal where you gather creative ideas and goals about your business and plans for developing it. What’s great about keeping a business diary in this way is that I have a completely different relationship with it. Why? Because I only write in bright, luminous colours (black, blue and red ink are banned from their pages) so every page feels like play and I find it much easier and stimulating to implement many of the ideas I have seeded on their pages. This way work and running my own business has a much stronger element of fun and enjoyment that I have had for a long time. Why not give it a try? In my final post on this blog for 2013 I want to leave you with a gift, which I hope will inspire you to write even more and enjoy the benefits of writing in 2014. I’ve written a simple guide on how to start and keep a journal that includes over 40 blank pages for your journal notes, pages for writing your to do lists and lists for just about anything, along with designated pages for jotting down notes and queries as you go about your daily business. There’s also over 40 inspirational writing quotes that will help you to stay motivated both on and off the page. If you have clients and colleagues who you’d like to share the resource with please feel free to share the link. Wishing you all the best for the new year and look forward to serving you with more tips and insights on coaching, writing and creativity on the blog in 2014. Anyone who knows me really well knows that I like the idea of a cup of tea. 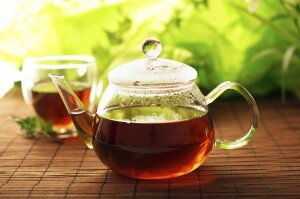 I enjoy the ceremony of making the tea but very rarely do I drink even a third of a cup of the tea. I meet many people who have the same approach to writing, They like the idea of writing. They fantasize about what it would mean to write a book but when it comes to writing, facing the page they quickly disappear. I once had a woman who attended a writing workshop share her fear about what she would wear on a talk show once she had written her best seller. Only problem this was never really ever going to be a problem in real life as she wasn’t doing any writing. If you want to write or want to be published you have to write. You have to write either everyday, or as often as you can. In the writing game you have to be prepared for the long haul, to face rejection (rejections are a requirement of the writer’s journey) to know your own limitations and keep writing in spite of these until you get better (and if you have faith you know that once you keep showing up to write in time you will get better, everybody does). Okay so you may never write that best seller. But guess what writing a best seller comes with its own set of problems and challenges. And for all the success that best selling writers have they as a select group are few and far between and most will have behind the scenes grafted for many years outside of the public eye, so don’t be fooled. But very often we miss the real gift that writing brings us. When we write with a conscious awareness, when we create a rhythm and a flow with our writing we get connected to the feeling of satisfaction that is generated through regularity and structure. We throw this gift away when we are forever focused on the end product and we miss the rootedness, the wholeness and sense of purpose writing gives us when we are committed to doing the work and being with the moment. I will often share with writers on workshops and retreats how I feel undone when I don’t write in my journal. How I show up to the day crabby and find it easy to pick arguments with my partner because I have resisted turning to the page first. I liken journal writing to a daily prescription that helps me stay sane and well. In 2014 how will you turn over a new leaf? What and how will you do your writing work? 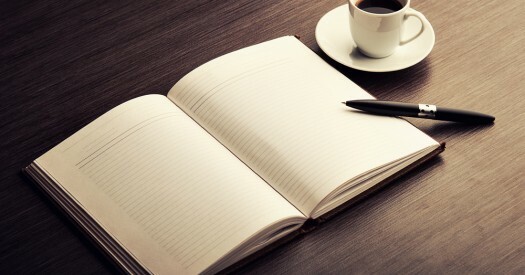 Think of three ways journal writing could support you in have your best year yet? You’ve had the turkey, the rice and peas and the Christmas pudding with brandy butter sauce and you’re wondering what to do with all the energy and different age ranges gathered in your home for Xmas. One idea I shared in a radio interview last week was the idea of holding a pre or post Xmas dinner writing activity I’ve called the I Remember Writing Salon. You’ll need blank sheets of paper, pens, felt tips or crayons. Give everyone permission to write in a medium that feels right so people could use write on backs of envelopes, sheets of paper and encourage younger members to write on their iphones, ipads or tablets. It’s a good idea if before hand you write out your prompts on slips of paper in advance of the activity or alternatively why not get suggestions from your group in the moment. Place you prompts in a box, a cup or an envelope. The idea is to create a little bit of ceremony around the activity. Writing prompts are a collection of either one word or a sentence that you share with a group and then invite everyone to write their own interpretation, real life story or memory triggered or associated with the word or the prompt. Give everyone permission to write in a form that comes easily to them. For example the response to the writing prompt could be written in the form of a poem, a song, a rap, a short story or narrative or simply a few sentences. Throw out the line (choose a year) It was the summer of 1972 ……………………………..
Everyone writes to the same prompt each so get someone in the group to randomly pick a prompt and invite everyone to write as fast as they can without stopping for 5 minutes based on the selected prompt. Set the ground rules before hand that there’s no editing, so no focusing on spelling, grammar or what your handwriting looks like. It’s all fun and remind everyone that whatever they write will be fine. Get one member of the group to keep time. Once time is up. Invite everyone if willing to share, but no pressure. Share the guidelines that each person reads out loud to the group, one at a time without any interruptions. Once they’ve finished and been applauded, invite each person to share one thing they liked or stood out about the piece. One person records all the comments and then gives it back to the person at the end. Then invite the next person to read and so on. Other variations on this could be to purchase a book and invite everyone to write something over the course of the day or your time together and then have a reading of all the different narratives, comments and stories. If writing is a challenge or someone present doesn’t enjoy writing invite them to share their writing prompt to video or audio and have them share with the group in the same way. There are endless possibilities so get creative and get writing but most of all whatever you do enjoy the spirit of the day. Last weekend I was in Glasgow as part of a 50th birthday celebration with family when as part of our weekend itinerary we went to an exhibition of paintings by Jack Vettriano at the Kelvingrove Art Gallery in Glasgow. I must admit his name was not familiar to me and I was simply going with the flow. But when I walked into the gallery and caught sight of the first set of paintings I instantly realised I was familiar with his paintings and somehow they had made their way into my psyche whether through a news clip or visual memory the image of the butler and maid standing on the beach holding an umbrella over a couple dancing was not new but already embedded. In fact the painting buried somewhere deep in my psyche was Jack Vettriano famous painting the Singing Butler that sold at Sotheby’s for £750,000. I had arrived early to the exhibition before my family opting to take a taxi and therefore go at a more leisurely pace so I wandered around the exhibition for a few moments not sure where to start. There was lots of text accompanying many of the paintings and plenty of video clips and short films. It was not long before Vetttriano’s voice bellowing through the television screen of one video drew me in and I sat for ten minutes captivated by this stranger’s story and journey as a painter. He left school at 16 to become an engineer but a girlfriend gave him a set of colour paints for his 21st, which saw the beginning of his life as a painter and artist. He didn’t go to university saying on camera that he felt had he gone on to do a fine Arts degree he would have been hemmed in and told what and how to draw and paint from someone else’s perspective. Instead he set about and over a number of years taught himself to paint. I could really identify with this as having completed a Masters in Creative Writing and Personal Development I left that course unsure and lacking confidence in my ability to ever publish a book again. He changed his surname so not to be confused with his earlier career. Now that got me thinking! He struck lucky (note not without having drawn and painted for many years prior) when his first two painting submitted to the Royal Scottish Academy in 1989 sold and that marked the beginning of his career as an artist. 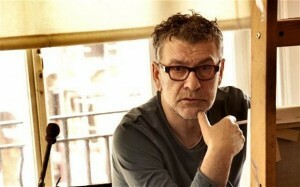 What became clear as I absorbed his many paintings in this exhibit is that Vettriano is a prolific painter. 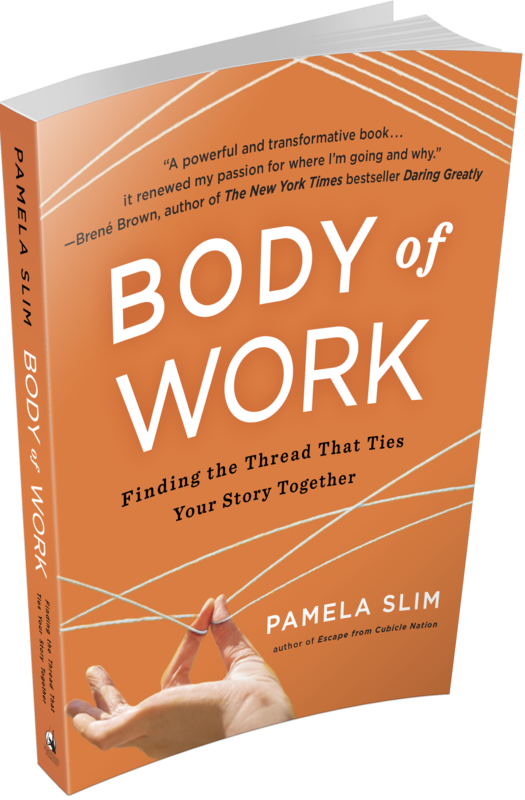 Here was a live example of what Pam Slim writes about in her latest book, Body Of Work: Finding The Thread That Ties Your Story Together of concrete evidence of what it means to generate a body of work. His body of work included video clips and short films; there was plenty of text also documenting the history and the story of both the paintings and the painter. The gift shop was a shrine to high quality products and merchandise all branded with Vettriano’s work including what appeared to be a silk-screen print design umbrella with the choice of images of two of Vettriano’s most famous paintings. What I admired about Vettriano was his ability to create and generate on different platforms. Not only did he think and speak in images his body of work also includes the spoken word and the written word. There are so many different platforms and mediums for us to communicate and share the body of our work with. Writers are no longer confined to just the space on the blank page. Our platforms have grown, have multiplied and are growing more and more by the day. Technology when interacted with creatively can be the friend of the artist, the entrepreneur, the academic, the person in business and the person on the shop floor. It has potential for everyone, which is about creation rather than deadening. Alas many of us have chosen to be become slaves to technology with little connection to how it can and does breathe life into our worlds and our work. Okay I may be going a bit off point here so back to Vettriano. His body of work inspired me last weekend. I’ve always been keen to collect quotes and information from other genre’s outside of the areas I tend to work in which is coaching, leadership, management and personal development. Now I can see how slowly every thing is becoming so connected. Science with spirituality, neuroscience with everyday thinking etc. Just today as I was putting the finishing touches to an e-book I realized that there are so many possible ways I can take this to print that makes what I have written an interactive message rather than one that is static on the page. People want connection and writers want to connect so when we extend beyond our preferred mode of communicating we widen that possibility. So no longer am I primarily the writer on the page, I am the face on the video, the voice on the interview, the creator of spaces for inspired learning, the weaver of rituals and ceremony on workshops and retreats. 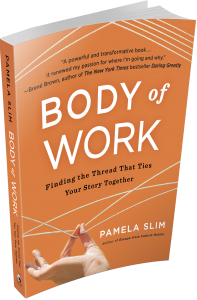 These are some of the ways that your own body of work comes to life or has life breathed into it. Make time over the Xmas period to plan and vision what your body of work will consist of for the New Year. Don’t worry about whether it’s been done before, no one will do it the way you do it. Each of us have our own story to tell and by generating a body of work you tell your story. I’ll have some goodies to support you with the year ahead in the next week or so. A great light and leader left our world on Friday 6th December 2013. Mandela’s death as in life has highlighted the blazing legacy he left for the world. His life has been reported in detail since his death on Friday in newspaper across the world. In today’s blog post I share 7 Leadership wisdom’s Mandela’s life has gifted us with along with 7 Leadership Activities that invite you to reflect, review and evaluate your own leadership journey and prepare your leadership for 2014. 1. It’s not who you are but how you lead that matters most. Mandela showed exemplary resilience, coming from a poor background, growing up in the oppressive, apartheid regime, surviving imprisonment and emerging to become the country’s first ever Black president. His CV was stunning. Create a courage CV that charts the times and places in your life where you have been courageous and brave. 2. He demonstrated leadership at all different ages and levels of his life. From being appointed as a youth leader in the ANC, to his imprisonment on Robben island Mandela modeled integrity refusing to accept privileges given to him if the same was not offered to his fellow prisoners. Mandela refusal to be treated differently is a reminder of the need for values, to stand our ground and to speak up for what matters most. What will you make a stand for? What will you or do you speak out against? Write a letter, blog post or article, whatever takes your fancy regarding a concern or issue you feel strongly about. 3. Killing Your Enemies With Kindness – Revenge or Reconciliation? Mandela taught the world a very important lesson of leading from the heart. He chose reconciliation over revenge at the way he and millions of black South Africans had been treated by the Apartheid regime. This public act of forgiveness, compassion and heading from the heart and not the head is perhaps one of the biggest peacetime acts of these modern times. Mandela transcended hatred, fear and the most appalling violence towards other human being, by going inwards and changing and shifting his perspective from the inside out. As one newspaper quoted, Mandela killed Apartheid with kindness. His heart inspired leadership demonstrated for the world to witness the enormous healing potential of reconciliation and forgiveness and changed the political and humane landscape of South Africa. Forgiveness allowed Mandela to escape the past and create a new future and for this he cannot be faulted. What person, conflict, challenge or difficult situation might you try to change or gain a different perspective by killing it with kindness? Mandela’s leadership toolkit was awash with the kinds of communication skills that make you not just a good leader but also a great leader. Qualities that made him also not just a good coach but also a great one. His ability to be empathetic, to forgive his oppressors, his tenacity and determination to understand his warders and to feel what it was like standing in their shoes was remarkable. In the articles I read about him over the weekend there were numerous examples of this humble, who in the same breath was articulate, clear and compassionate man who would ask questions first rather than tell. It takes a bigger man to go stand in the shoes of others who have treated you in the inhumane manner Mandela and so many others had been who had died as part of the apartheid brutally, but he did. This week really pay attention to the quality of your listening? How would or do you rate yourself as a listener? What are the areas for improvement? This week listen more and ask more and see what the responses are. Perhaps fuelled by those years of solitary confinement and the accompanying silence that became his constant companion, grew Mandela’s spaciousness and capacity for deep listening and in turn being listened to. There was the true story of Mandela’s meeting with Maggie Thatcher who apparently listened to Mandela for 50 minutes without interrupting. I imagine it was the time spent in solitude and silence, which allowed Mandela to do the invaluable inner work that distilled much of his former views and beliefs and offered him different perspectives and approaches that saw him shift and transform his leadership to a different vibration and frequency. When you take the word silent and change the letters around you create the word listen. Book time in your diary before the end of the year to spend at least half a day in silence or time spent just with yourself. You can be flexible about the degree of silence you enter into so you might spend time on your own in a busy public space like an art gallery or museum or you might just have quiet time alone at home. Use the time alone as a time for reflection, contemplation and a form of recalibrating. Observe your response to time alone. What did you struggle with? What was good about having the space? How could more time alone add value to your leadership? Mandela’s leadership journey stands amongst many of the greats of our times as a story of hope and resilience and possibility. You could not make this story up least alone the horrors and trauma’s that underpin the fight and cause that Mandela took on. His leadership legacy reminds us that there is work for leaders at all levels of society and that our name could be that name, that person that makes a real difference to others. What one word will describe your leadership focus for 2014? Mandela was not a man without flaws. Reading into personal accounts of his life before and after imprisonment one recognizes that here is a man that did not always get it right when it came to his family and his children. Understandable as this is it was not a fact that was hidden from the world and in fact this may have contributed to the acceptance of Mandela because of the vulnerability and humility that was often apparent in his leadership. Leaders benefit greatly from the qualities of vulnerability and humility. Both activate courage, bravery, compassion and wholeheartedness. We can create and nurture environments where leaders respect honesty, where they are not afraid to share when they have messed up, got it wrong or missed the point. We need to create more space for leaders to show their human side and not wipe them out or condemn them as soon as a flaw, fault or mistake is discovered. Of course there are limits to what will be deemed acceptable in terms of errors but what we can learn from Mandela is that progress not perfection helped to magnetize his leadership presence and make him revered and loved on the global stage across race, gender, social class, political beliefs, economic and social positions. Mandela left a trail blazing leadership legacy. If you were to write a personal account of your leadership story and the wisdoms gleaned from your leadership journey to date what would your story be? 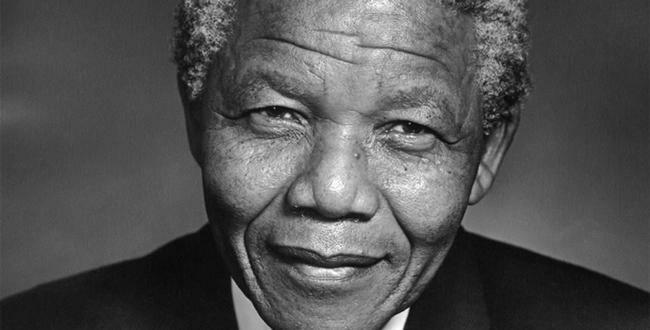 We’d love to post your leadership wisdom’s inspired by the Mandela legacy on the blog. Please email to: info@jackeeholder.com with a photo and your contact details by Tuesday December 17th 2013. This week’s blog post is from Sonia Henry. Sonia is a former local government manager, life coach, mentor and personal development trainer. She left the UK in 2012 to live in Jamaica. 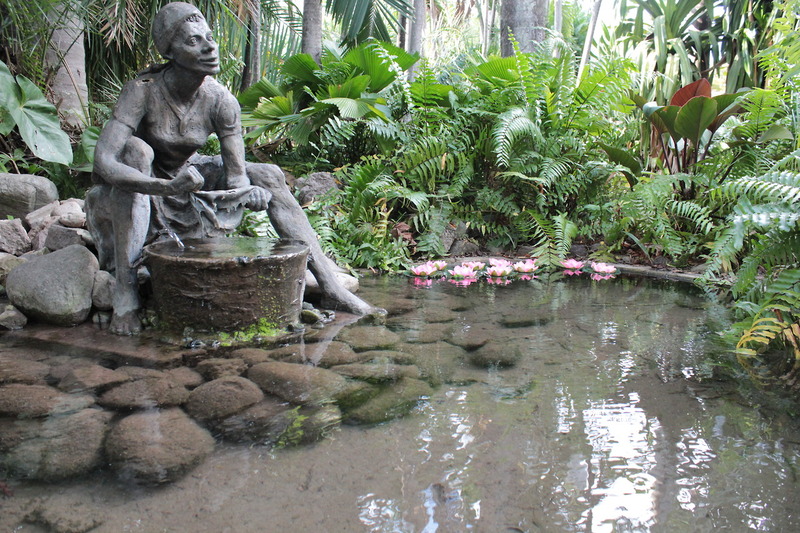 She is enjoying her transition by connecting with nature through her love of writing and gardening. She spend’ her spare time connecting with the local community of Falmouth Trelawny, doing charitable work through Kiwanis International. She is currently working on her first book, The Inner Garden, Life Lessons in Personal Development. 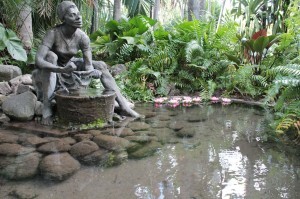 In today’s post she pauses to reflect on her writing and her relationship with the *Muse. * The Eight Muses are the eight Greek Goddesses devoted to the arts: Goddesses of music, song, dance, poetry, knowledge, astronomy and comedy. One of my last encounters just before I left the UK to fulfill my dream of living in sunny Jamaica was a coaching and mentoring sessions at The British Library in central London with Jackee Holder. It’s hard to believe but in that coaching session we discussed my desire to live and work in Jamaica now, here I am all the way in Jamaica still being inspired by her through the various forms of new technology. In this blog post I want to talk about the mysterious muse? I was first introduced to the concept of the ‘Muse’ as a writing exercise many years ago when I regularly attended Jackee Holders’ Moon wRites creative writing group which she held on a weekday closest to the full moon each month. Those early days of writing were foundation years in terms of developing my writing practice. The concept of the muse was welcoming to my soul and I have worked with the idea of the Muse since then. 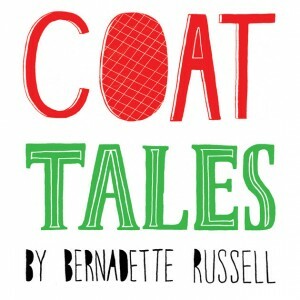 My ambition is to become a published author. I remained quietly excited despite having received an episode of negative feedback from one person who did not realize that they had just shattered my dream by their flippantly negative response to an early but prized piece of work I had asked her advice on. Writer’s block showed up on many occasions when I recalled this incident and the page was left blank. A mystical form of unconscious trance state that manifests in a split second of time. The muse meets me quietly and seductively bringing my internal battle between my long time friends’ resistance and discipline to a peaceful resolution. My writing angels appear in many forms, signs, and wonders. It amazes me to be an observer of myself as the first word appears on the page and I sink mercifully into the arms of my mysterious muse. As the symbols of language start to appear, I slumber into free writing. Even more powerful for me are the moments when I write morning pages from a newly awakened state of dream awareness. My thoughts then float onto the page like ghosts of the night manifested as words onto the page. They are now a reality that the Muse wants me to share. As a life coach and trainer, I know the importance of looking back at our childhood passions to realize what we truly enjoy in life. Writing has always been an important part of my life. My journals sit patiently in my yet to be unpacked moving boxes constantly reminding me that there is a writer also waiting to be unpacked.